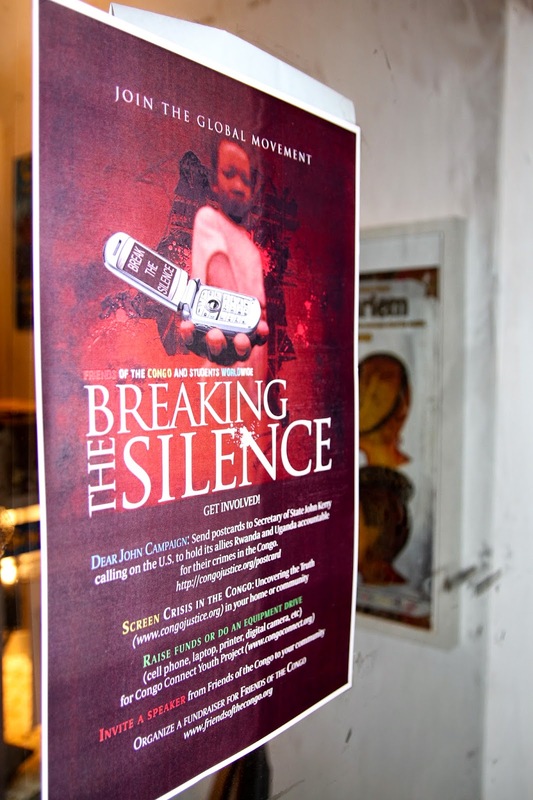 The seventh year of Breaking the Silence: Congo Week will take place from October 19 - 25, 2014. It is your commitment to standing in solidarity with the Congolese people that has kept this movement growing each year. Due to your engagement, an increasing number of people throughout the globe is becoming aware of the situation in the Congo and demanding that world leaders do more to help bring an end to the deadliest conflict in the world since World War Two. The United Nations, African Union, the United States and other countries have gotten more involved, however, greater engagement is not a prescription in and of itself for peace. The application of policies grounded in justice for the Congolese people is paramount to bringing about peace and lasting stability in the Congo and the Great Lakes Region of Africa. Young Congolese inside and outside of the Congo along with their allies in the global community are mobilizing to assure that policies are implemented to advance peace, justice and democracy in the Congo. We encourage you to join us this October for Congo Week as we commemorate the millions of lives lost in the conflict while celebrating the country's enormous human and natural potential. 1. Host an event during Congo Week. We also encourage you to create a team and recruit individuals and organizations (student, women, peace, labor, faith-based, human rights, environmental, etc) to participate in Congo Week. 3. Host a fundraiser or benefit event to raise funds to support Congolese youth who are organizing for peace and justice. Find out more here about how you can support the Congo Connect Youth Initiative. Seize the moment and become a part of a noble pursuit for peace, justice and human dignity in the heart of Africa, our home, the Democratic Republic of Congo. Stay abreast of Congo Week activities via Twitter by using #CongoWeek2014. Share the Congo Week promotional video with your network. Visit the Breaking the Silence: Congo Week page on Facebook. Support the organizing of Congo Week with a financial contribution.